Recently, I have written about the sudden passing of Lloyd Gill, greyhound trainer and a big supporter of GAP. His lovely Mum Jean brought all his racing greyhounds and also his pet greyhounds to GAP. Many of them have found homes already. 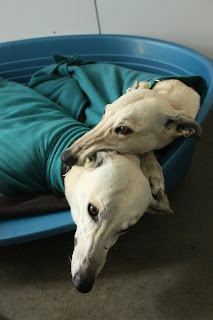 This post is about Lloyd's pet greyhounds, his house dogs, Angel and Ringo, who are still waiting for that special forever home. 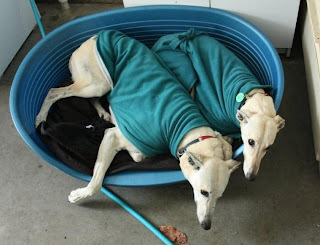 They are oldies, Angel (Ruawhata Road) is 11, and Ringo (Supreme Paragon) is 9. 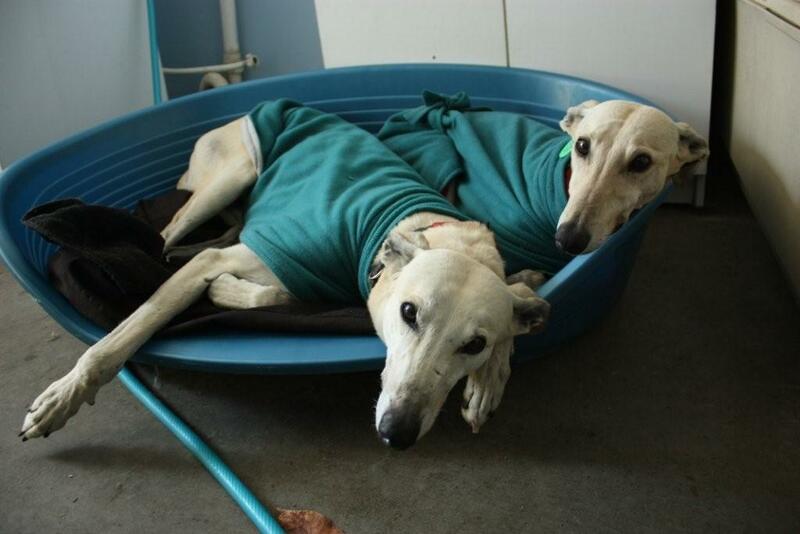 They both need a quiet home and would prefer company at this stage of their life. 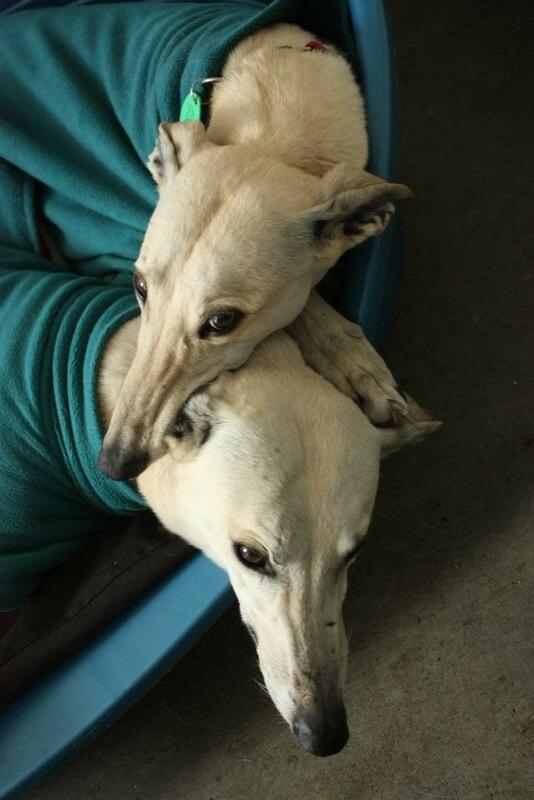 They have passed all temperament testing -they are great with dogs of all sizes , and they are both cat-friendly too. I have met both Angel and Ringo and they are both absolutely precious. GAP kennel managers told me that they would prefer not to have these doggies fostered -but to find them a forever home asap. This is because they would like to spare them yet another transition.